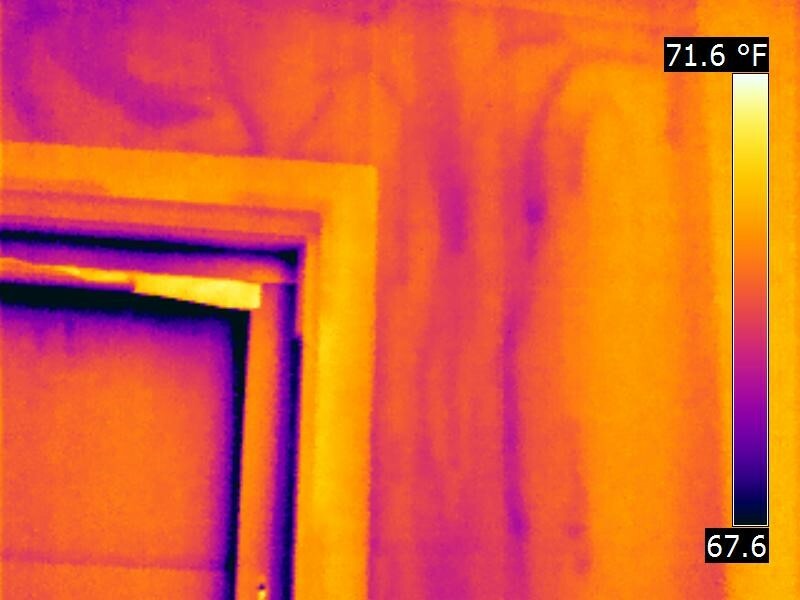 The high resolution of this thermal imaging or infrared camera makes it easy to see insect trails within the wall. 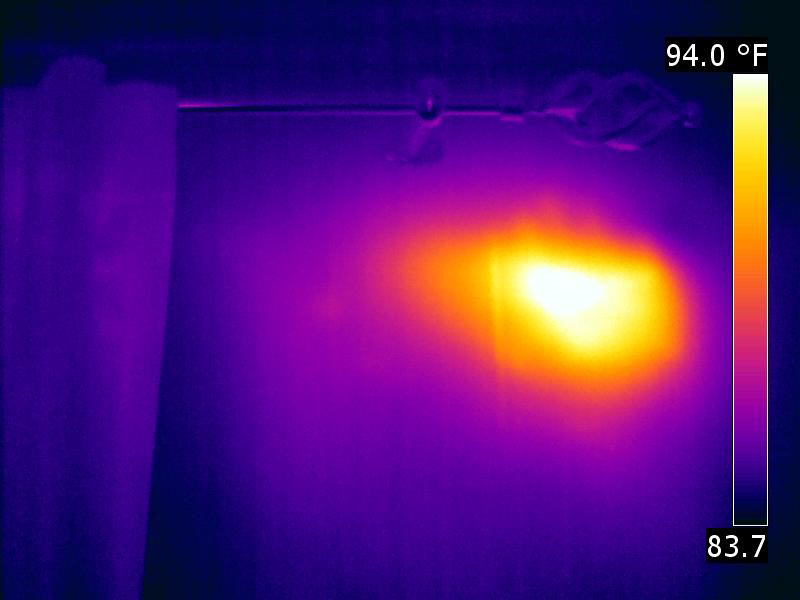 When selecting a thermal imaging camera for pest control / remediation there are several considerations that should be considered. While a standard camera might provide excellent image quality, a harsh environment, distance and thermal sensitivity may present a whole new set of challenges. Environmental conditions or considerations include potential exposure to dust, dirt, water, chemicals and or extreme heat or cold. If the camera is not suited for the environment that it is used in, or not used with extreme care in harsh environments, its life could be very short lived. 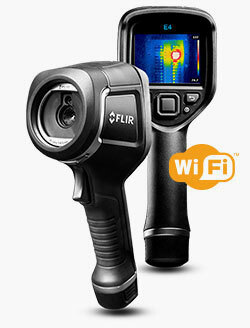 While you may be able to purchase a less expensive camera with similar radiometric specifications, cameras in this category are generally better suited for less than ideal testing conditions. 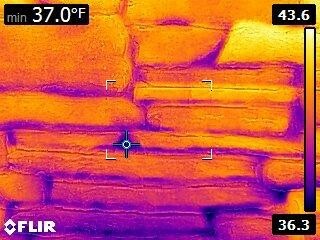 Data gathering is an important part of managing a thermography program. Because of PPE requirements like gloves in attics, feature like voice annotation become very desirable when gloves make data recording by hand hard if not impossible. Ease of use is of critical importance when selecting an imager. Single handed operation, easy focus, hand straps, wrist straps, and other features which improve ergonomics are all features to consider. Resolution is extremely important when your work is further away. Pest and mechanical inspection can provide may challenges when the distance becomes a limitation. 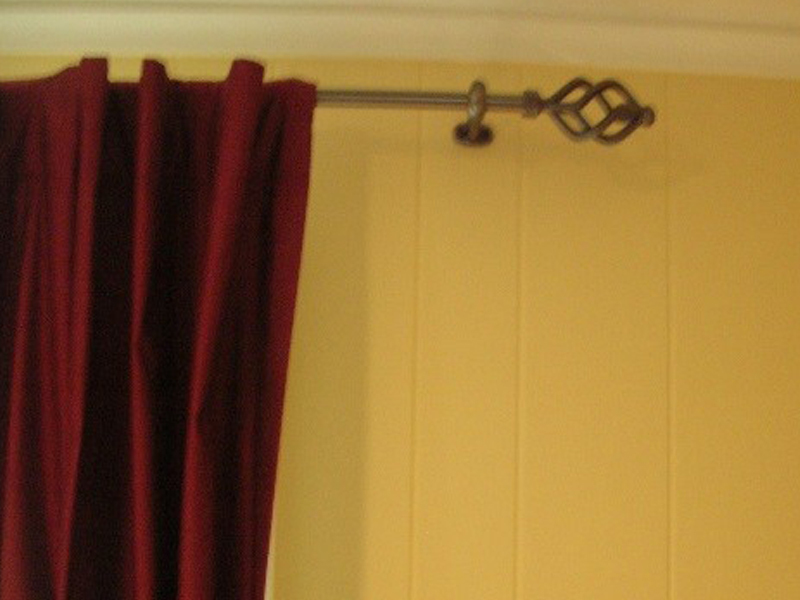 Higher resolution means better image quality both near and far. While a higher resolution camera may initially cost more, the ability to work from the ground or at longer distances can improve workflow and eliminate the need for a ladder to identify potential problems pests or points of entry. 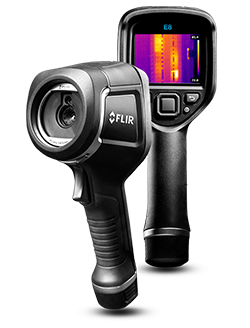 Documentation of problems or potential problems has never been easier with the Flir e40bx-e60bx thermal imaging cameras. When used with your I-pad, you can quickly and easily transfer imagers from the camera for a quick and professional presentation. Leaks and moister with in the wall. Also a very good conducive environment for wood destroying insects. © 2018, G-Man Pest Control. All Rights Reserved.